​So Mulch More was created in 2007 by landscape designer Julie Sherman Jakubovitz and architectural designer Linda Rosenberg Dishner. With over fifty years of design and construction experience between them, these Westchester natives take an interdisciplinary approach to site and structure design. Specializing in residential landscape designs, they take inspiration from nature, art and architecture to create environmentally sensitive, naturalistic landscapes that enhance outdoor living spaces. In addition to a wide variety of plant materials, they incorporate diverse architectural elements into their gardens. Their use of repottery, planting containers made from recycled pot shards, add a sense of history and whimsy to gardens. Their extraordinary and distinctive gardens include herb and vegetable gardens, secret gardens, sacred memorial spaces, outdoor sanctuaries, deer resistant gardens, horticultural therapy gardens, curb appeal lifts, and more. Visit Services to learn more. Recently they added a new division to their firm, Gardens-to-Go, which specializes in therapeutic and educational horticulture programs. Although working mainly on residential projects, So Mulch More has also created designs for commercial and public spaces. For Northern Westchester Hospital in Mount Kisco, they transformed an outdoor smoking area into a series of gardens, including a vegetable and herb garden, flower cutting garden, screening plantings, and brick and stone walkways. Designed with both beauty and sustainability in mind, these gardens greatly benefit the patients and staff. The hospital's dining service uses the garden's vegetables, herbs and flowers to complement patients' meals; the Department of Physical Therapy brings patients to the garden for physical and occupational therapy; and the Internal Medicine Department brings patients there to practice stress management, as well as utilizing its herbs to treat patients holistically. Linda Rosenberg Dishner has worked in both the public and private architectural sectors. Her public experience includes the coordination of two home ownership/renovation programs for the New York City Department of Housing Preservation and Development, and six years with the firm of Ricci Associates, a leading firm specializing in criminal justice architecture and planning. In addition, Ms. Dishner has worked for the Architect-in-Residence at the Cathedral of St. John the Divine in New York City. She started her own firm in 1994, DB3 Architects, which was renamed FollybyDesign in 2003. In 2007, she teamed up with landscape designer Julie Sherman Jakubovitz to create So Mulch More. Ms. Dishner holds a Bachelor of Science degree in Planning from Cornell University, and a Bachelor of Architecture degree from the School of Architecture, City College, City University of New York. 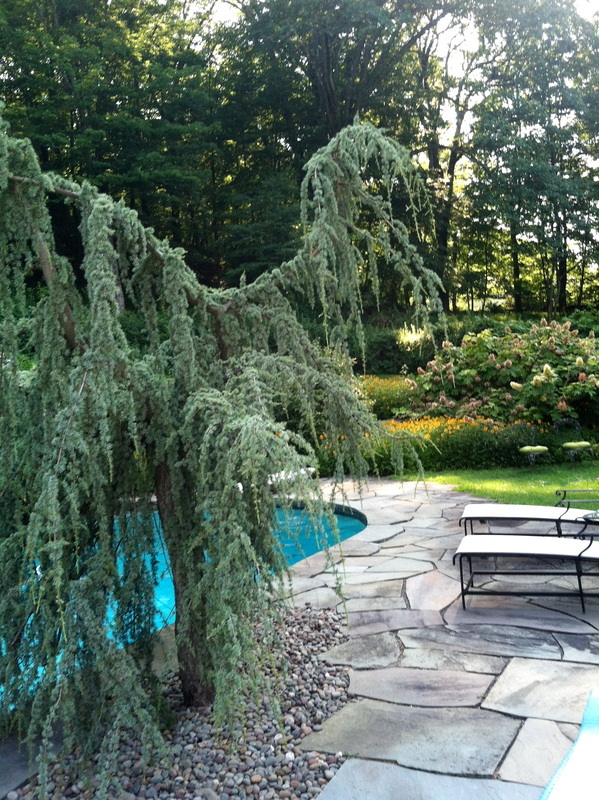 Julie Sherman Jakubovitz has extensive experience in residential and public landscape design. Her public experience began with her work at the New York City Department of Parks and Recreation where she developed designs and construction specifications for NYC parks and playgrounds. In addition, she has served as Chair and Board Member of the Town of New Castle Conservation Board, where she was responsible for conducting a land use survey and open policy statement for the town. She has had her own design firm since 1988, where she has designed and implemented both private residential and public gardens throughout the county. Ms. Sherman holds a Bachelor of Science degree in Environmental Studies from Syracuse University, and a Bachelor of Landscape Architecture from the College of Environmental Science and Forestry. Recently, she has taken classes in horticultural therapy at the NY Botanical Garden in the Bronx.